When my oldest nephew was six or so months old, my sister-in-law had professional photos taken of him. They turned out amazing, with a bunch of shots perfect for framing. I was always drawn to one large collage she’d had made that had all of his adorable little baby parts. I remember swearing I would do something similar when I had my own kids. Mike and I have been on a tear lately, finally hanging up the framed photos we’ve had leaning against our walls for years. We have a lot of empty wall space and we have been doing something about it. Wedding and engagement photos are up. Some of my favorite landscape shots I’ve taken have been blown up, framed, and hung. And yesterday, I finally made good on the promise I made to myself four and a half years ago and put together a collage of Madeline’s sweet little parts. I spent hours looking at her every inch of her, memorizing the body that I’d grown inside of me. I will always remember how soft her skin was, her silky hair, and the way her eyelashes tickled my neck when she nuzzled into me. We haven’t hung this frame on the wall yet. We’re looking for a place where there is plenty of room, since in half a year or so there will be another frame of perfect baby parts hanging next to it. What a beautiful collection to have and a great idea! Love the kissable belly! .-= Anne Y´s last blog ..Great Gift Ideas =-. What a beautiful idea, Heather, and your photos are just so amazing, you really are so talented. Thank you for sharing Maddie’s tiny body parts with us, every single photo is so precious and beautiful but I especially love the one of Maddie’s eyelashes (wow). What a beautiful memory and how special it will be to hang up the photos of Binky’s body parts right along side those of big sister Maddie. I’m pleased to hear you and Mike have been busy hanging up photos of special events and places, we still need to do the same and you have reminded me that this has to be on the to-do list for this year. I hope you have a peaceful week-end, lovely lady. You just want to blow a big rasperry on her belly. Ooooh she is gorgeous, I am so glad you got these pictures together. She may have physically gone, but she will never, ever leave. .-= Maddie´s last blog ..I can’t think of a funny title for this one, I’m blaming the pain-killers =-. Beautiful photographs! I love the eyelashes, in particular. .-= Lynn from For Love or Funny´s last blog ..I pretended to be a Martian, to no avail =-. Those photos are really amazing. Especially the eyelashes one! Wow. .-= amanda´s last blog ..it’s all about the benjamins, baby =-. Thank you for showing us how to live for our children… through all of it. It all makes me want to be better — to do everything better — for my family. this is so true…..thank you, Heather. Well said. And beautiful pictures. I love this comment! So true! Heather, you make us all better mommies!!! The eyelashes are stunning. I think I would fill a wall with that one alone… Why is it that baby parts are always screaming to be touched? .-= catherine Lucas´s last blog ..Snow blues and woos…. =-. So beautiful. Lovely photos, all, and lovely sentiments and ideas. I’m glad you’ve been hanging your photos. What beautiful photos of your girl. Just gorgeous. I love the eyelash picture! How beautiful! What kind of camera do you have? It takes amazing pics!! Thank you Tina! I have a Digital SLR – Canon Rebel XSi. It is the BEST investment Mike and I made, hands down. I love that idea. The photo of her eyelashes is amazing. Eyelash is my fave by far! I think of all the amazing, adorable things about Maddie I will never be able to forget her eyelashes – they’re literally stunning. How can so much cuteness be compacted into such a tiny package?? .-= ClassyFabSarah´s last blog ..Snowpocalypse 2010 =-. .-= jen´s last blog ..Flashback Friday- five christmases =-. Perfect!!! Every single ounce of your baby girl is siimply and beautifully PERFECT. Will you please take a picutre of the wall once it’s done? I did something like that but I did each of my 3 kids sleeping and one of all of their feet together. Out of all of them…the specia foot shot is the one I get the most compliments for. Ironic isn’t it….sometimes the most simplest of pictures are the ones that turn out the most profound! Can’t wait to see as I’m sure it will be breath taking!!! Thanks for sharing!!! P.S. It’s -16 Celsius (3.2 Fahrenhet) here this morning!!!! BBBrrrrr!!!! I think I need to move to LA!!!!! you SHOULD – it’s going to be almost 80 degrees Fahrenheit here today! .-= Kelly´s last blog ..You work & you work & you work on a boat… =-. .-= Pgoodness´s last blog ..7/365 =-. Absolutely stunning photos of the beautiful, precious parts of Madeline! The photos are absolutely priceless, Heather, and those eyelashes are out of this world! I’m sure if you could have had a photo of her heart, overflowing with love for her mommy & daddy; it would have taken up the entire wall space! All of those parts made up one very gorgeous little girl. I agree Sue! The love that Mike and Heather have for Maddie and Binky would cover an eternity of wallspace also!! Heather, can you post the finished product, too? We’d love to see it. This brought tears to my eyes. Her eyelashes, OMG that is so beautiful. I hope you will take a piture when its all done. Such a neat Idea. CANNOT wait to see Binky’s baby parts! Find a beautiful spot with lots of light so those beautiful Maddie parts can enjoy her pink/purple sunsets. Maddie’s baby part pictures are awesome. I love the eyelash picture. She is beautiful. .-= Jenny´s last blog ..popping the packaging materials =-. It never ceases to amaze me just how GORGEOUS Madeline is. All of these amazing close-up shots show every detail and capture her beautifully – did you take these with your DSLR or did you have a professional photographer take them? Oh, thank you! I took all of them myself. Amazing!!! There are no words to describe your talent – just breathtaking. I have a standard digital camera and always struggle with the fact that it just doesn’t capture the detail I’d like it to. I’m hoping to get a DSLR soon because you’ve inspired me to live for the moment and really pay attention to the beauty of those around me – in photos and beyond. Thank you for that. And keep taking those photos – I’m ready to shed some happy tears once we finally see the beautiful parts of Binky from your lens. Wow! Beautiful pictures! The eyelash picture is breathtaking…. those are beautiful photos.. did you take them? yes, I took them all myself, thank you so much! Those photos are exquisite… I love how you can see the whorls (is that the right word?) of her finger and toe prints. And her eyelashes are just amazing. I agree with an above comment – we would love to see how they all look together hanging on the wall. Been thinking of you a lot lately… just realized that Valentine’s day is just around the corner, as is your little Valentine. .-= Ari´s last blog ..Just snow already dangit! =-. I love that idea – I can’t wait to see Binky’s collage! And OH! Those eyelashes. Just amazing. Oh her eyelashes…..they are divine!! Those are amazing! I love her eyelashes and that adorable belly. Thank you for sharing Maddie with us. These pictures are absolutely beautiful. Thank you for sharing them. Those are such precious pictures of Maddie- I wish I had thought to take pictures of my kids’ fingers, toes, etc when they were babies. .-= Lauren´s last blog ..My Own Naked Cowboy =-. What a beautiful idea. I love the eyelash and the toe shots, just adorable. .-= Lisa´s last blog ..Fun Activities for Those Long Winter Days =-. Oh my gosh… the kissable belly is perfect and beautiful and I’m sure even more so to you! .-= Belle´s last blog ..Attempted Proof that Belle’s Burger is Bigger Than Nel’s Baby =-. Great idea! The pictures are so sweet. What a beautiful collage…..it took my breathe away! My mom took some pictures like that at the hospital when Nate was born and had photos of his ear and foot printed for me. They are so precious. .-= Assertagirl´s last blog ..Babytalk. =-. You had me at ‘her tiny toes’ …. God she was so beautiful, just like her mama. I can’t wait to see these in person. .-= chatty cricket´s last blog ..In defense of 2009 =-. Putting fake eyelashes on a baby is a bit much, don’t you think? What? You’re saying those are her real lashes? HA, I once had a man actually scold me in a store because he thought I’d put makeup on her! Nope, she was all natural. .-= Katrina´s last blog ..In the New Year….. =-. beautiful baby! Can’t wait to see Binky’s pictures! .-= Heather´s last blog ..Snowy day =-. Beautiful. Just beautiful. Your Madeline is precious and perfect. .-= Erin´s last blog ..Six Months =-. WOW those are some amazing shots. You are such a good Mama, Heather. I strive to be a better one because of you. .-= Dawn´s last blog ..Flatterers look like friends, as wolves like dogs. =-. The eyelashes are spectacular. And what a wonderful way to remember your sweet little cherub. She was just so amazingly beautiful. And so will baby Bink! I love this Heather, what a great idea. Her little parts are so sweet. It will be so fun to have both of your girls on the wall next to each other. .-= Kim´s last blog ..Jeopardy…And the Answer is… =-. These are really beautiful, and you have inspired me to take the same photos of my daughter! What kind of lens did you use with these? I mostly used a 50mm f 1/8 that I LOVE, and for the super close ups of her toes, lashes, etc, I put an extension tube on that lens. I have all my lens information here: http://thespohrsaremultiplying.com/photos/, although I need to update it a bit because I got a few things for Christmas. Such sweet, special photos. What a great memory. OMG what a beautiful child! This too brought tears to my eyes. I would say, put the pictures of Maddie in the baby room – Binky will enjoy them when she gets a little older. She can lay in her crib, when she gets old enough for the crib, and look upon her beautiful, wonderful older sister. Oh, those eyelashes! And that belly! They get me every time. What a beautiful child. BTW, sounds like you are nesting! She was exquiste in every way and your photos capture that beautifully. These are incredible! I’m so happy you have them. .-= Jen L.´s last blog ..Henry =-. .-= won´s last blog ..Your Honor, His Honor, and Me =-. These photos are simply breathtaking!! I may have to borrow that idea as well. Absolutely beautiful photographs! You have an amazing talent. I love the eyelashes…they look so soft and feathery. Looking forward to the next set of baby part pics! Those are wonderful photos. I am so glad that you have them. .-= Debby´s last blog .. I’M TRYING =-. That is really beautiful in so many ways. Brilliant! Gorgeous! Precious! I am in awe of her beauty! .-= Michelle Pixie´s last blog ..Well Checked =-. Stunning photos. She truly was perfect. It’s so wonderful that you have those shots of her to treasure. I would never have thought to take pictures of my kids like that – what a wonderful idea. Beautiful! Hugs to you and Mike. Those are my favorite photos too… the ones that capture the intricate details of my babies. .-= kbreints´s last blog ..Priorities =-. All her parts were perfect! The first picture of her eye lashes is amazingly beautiful. .-= Tara.´s last blog ..Just Me. =-. Such beautiful pictures! She was such an adorable little girl! Melissa’s last blog…Happy Birthday Mama Pat!!! OK, you’ve got the tears going again. Sitting in my office with tears streaming down my face. To have lost all of those parts….God, let me never know what that is like. Heather, another big hug coming your way from me. I won’t say I don’t know how you do it, because it strikes me as ultimately silly. You do it because you have to and what is the alternative? And you do it for Binky. Sorry, I see everyone else’s comments are happy, and I do so want you to be happy. This just strikes me as so sad and I just wanted you to know that there are strangers crying with you and wishing we could take some of the pain for you. So, so beautiful. That eyelash shot is so wonderful– she’s such a beautiful girl. .-= Camie´s last blog ..Thus Far. =-. I’ve never posted anything here before, but I read your site regularly. I have three healthy beautiful children. I can’t imagine what you go through on a daily basis. I know that God has blessed you with another chance at a family. I think of you guys often and hold you in my prayers. But, this little new miracle God is giving you may ease some of the pain. I hope and pray the best for you and your family. Simply gorgeous in every way! I’m quite certain that millions of people would pay gobs of money to have eyelashes as thick as hers and of course as long and curly. You’re right….a very kissable belly. .-= Rebecca´s last blog ..Cruisin’ Around, Wasting Gas =-. Oh! The eyelashes on that girl! When my first baby was born someone told me I was having too many pictures taken because I wouldn’t have anywhere to put them. Reading about Maddie and your incredible story I realize how much they were wrong. Through tragedy or just the reality of time our babies leave us, it’s so important to be able to look back and remember them. I’m so glad you have so much to look back at and remember such a remarkable little girl. You’re right – you can never have too many pictures. Especially in the digital age. My boys have crazy long eyelashes. But Maddie’s totally put there’s to shame. And that belly picture is darling. I can’t wait to see the pictures of her little sister, too. .-= Allyson´s last blog ..Losing brain cells =-. Beautiful photos! The only other person I’ve seen in the entire world who has eyelashes that awesome is my youngest brother. (You can imagine how jealous I am!!). I had to smile at the photo of her fingers because they look just like mine. And I wash my hands too much actually, so go figure. I think I remember seeing the belly pic before? I love it! And the toes….all of her. …. It sounds like your walls are looking very pretty now. OMG, her eyelashes were AH-MAH-ZING! And what an awesome idea (I don’t have any kids but I’ve thought of this idea before, as well) to take photos of every baby part. So WONDERFUL that you got to do it with Maddie. I can’t wait to see Binky’s. .-= Zakary´s last blog ..What A Difference =-. What an amazing collection of pics. .-= Kristin´s last blog ..Music for the Soul =-. .-= kris´s last blog ..You capture – 2009 =-. Gorgeous…all of them. I can’t wait to see them hanging in your house. I read your blog every single morning. It is my more ritual. I read your blog as I feed my son (he is 7 months old) his breakfast. Sometimes your writing proves to be too much, I minimize it, hug my son and then I say a prayer for your family. I have never commented before but after today’s beautiful pictures and your amazing words. I not only hugged my son but I cried. I am very sorry for your lose. This is brilliant. Note to self: copy this idea. Maddie’s big eyelashes have always amazed me and made me green with envy. Hi Heather! 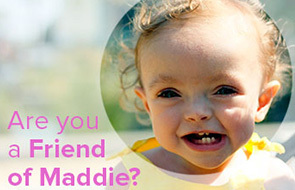 These pictures are beautiful – what a wonderful way to remember Maddie. I’ve been reading you since Maddie passed away and have never commented, but just wanted to say hi and I think you guys are amazing. Also, I don’t know if this is weird or not, but I had a dream about Madeleine last night. Somehow my family and I were at your house, and Maddie was talking and everyone was exclaiming how smart she was. I remember knowing that she had passed in the dream but thinking “They were right – this is an amazing little girl.” Can’t wait to hear about Binky! .-= Lisa´s last blog ..Diet Schmiet =-. Thank you for sharing those. They are beautiful! Just Lovely! Beautiful pictures of an amazing little girl, by her extremely talented Mom! .-= Karen´s last blog ..Our Summer in a nutshell =-. These pictures leave me speechless. They are perfection. You are very gifted with the camera Heather. How amazing is that…what a wonderful idea! .-= Nichol´s last blog ..The Children’s Place Cords Only $4.99! =-. Oh my goodness! Beautiful! Every little bit of her is precious, but those lashes! Oh my!! Thank you for sharing. .-= Mary´s last blog ..Living in the Ocean…still =-. This is such an amazing idea! What a beauty. I can’t wait to do it with my own kids someday. Oh Mama, it’s so beautiful. Really. I’m so glad you had those photos. Every part of Madeline is so gorgeous. amazing.amazing.amazing. Heather – these capture her so beautifully. .-= designHer Momma´s last blog ..She’s Been Better =-. Gorgeous pictures. Binky will truly know how much her big sister is loved when she arrives. .-= MaNiC MoMMy´s last blog ..uNHiNGeD =-. she is so beautiful and precious ((hugs)) I always thought she had the most beautiful eyelashes. .-= Kim ~ CraftyMamaof4´s last blog ..Flashback Friday =-. The eyelash photo — I can’t stop looking at it. Wow. You even captured the fine, dewy baby peach fuzz on her cheeks. I can almost feel their softness and smell her sweetness through that one photo. I can only imagine how much you miss that beautiful, sweet little girl, Heather, because I miss her so much too. I’m an IVF patient and to be really candid, I feign interest and enthusiasm when hearing stories and seeing pictures of people’s children. They don’t know how painful their stories are to hear, or how their photos are glaring reminders of how “broken” we are, yet I don’t want to make anyone feel bad. It’s hard. I think it’s like how someone in a wheelchair must feel when listening to stories of their friends winning marathons or something. Somehow, it’s different with Madeline and “Binky.” I love hearing your stories and seeing their pictures. Can’t put my finger on why, but maybe it has to do with those magnetic eyes and lashes of sweet baby Maddie. If I’m ever blessed with children, I would PAY you to take similar pics for me. Serious. You should really consider this as a fast way to make some extra cash on the weekends. I wouldn’t know how to use an SLR camera if my life depended on it. That. Is so. Beautiful. Those eye lashes are amazing. What a beautiful tribute to your girl. .-= Karen Chatters´s last blog ..It’s my blog and I’ll babble if I want to =-. That’s such a great idea. Your photos are beautiful, Heather. .-= Melissa´s last blog ..Year End Top 10 =-. These are absolutely beautiful. There are no other words. .-= Molly´s last blog ..Bacon. Yup, it’s a post about bacon. =-. They are all beautiful photos, but after admiring them all I went back to the eyelash one and couldn’t stop staring at it. Maddie is beautiful. Thank you for sharing her with us all. .-= Fibby´s last blog ..Pure Joy =-. Amazing shots of your beautiful daughter. How I wish I would have done similar with my kids when they were so wee. I love the idea of Madeline and Binky’s collages hanging side by side. Will be just gorgeous and amazing to you all when the years pass..
Any baby names brewing for Binky? .-= Jenny, Bloggess´s last blog ..UPDATED X 5: Why voter-driven awards are fundamentally flawed. =-. She did have the most amazing eyelashes. I mourn everyday for your beautiful girl. God bless you and your family. These photos are just beautiful Heather. I have similar pictures of my daughter that I adore. There’s something about them that are so special…that help me remember how she was when she was tiny and new…even more than more traditional portraits (which of course I love too!). I don’t think I’m articulating myself well, but something tells me you get it. I look forward to seeing Binky’s pictures. You are in the home stretch and I am just thrilled for you. these are the most beautiful pictures, thank you for sharing them with us. These are gorgeous pictures of your little girl, perfect in every way. .-= Jennie´s last blog ..Everything I needed to know I learned on Desperate Housewives =-. What a fabulous idea. Vida is 21 months as of yesterday, I have yet to put her scrapbook(s) together but I do have a photo book in the works. I will definitely do this and I am not inhibited despite my lackluster photography skills. .-= Michele´s last blog ..NYC =-. She is perfect, so very, very perfect. I’m so thankful that you are sharing her. MY FAVORITE PICTURES OF MADDIE OF ALL TIME! I love it each time you post pics, but this time, these pictures took my breath away! I hope you post a picture of them once they’re framed and hanging. You are an amazing Mommy to her even though she is gone… you love her so much and you show it so beautifully. Cant wait to see pictures of baby Binky! Any word on a name chosen for her yet? We’d love to her what you and Mike are thinking about!! OMG, I love these beautiful photos of Maddie! Each one as precious as the next. She is such an adorable girl with the most amazing features. And so lucky to have such amazing parents! Keep hanging in there you two…you are truly special, special people. .-= Alicia @bethsix´s last blog ..Things I Love Thursday: Upcycled Security Envelope Ring =-. I’m a long-time reader but first time commenter. These photos are amazing! What wonderful memories of your sweet Madeline. Your story continues to move me – thanks for writing about it. Beautiful! I love the eyelash one and the belly one! You take amazing pictures! There has not been an update in 2 days…wondering…is Binky making her appearance? I am on the edge of my seat here! These photos speak to the power of a child’s life. It’s amazing how your sweet Madeline has inspired so many of us. Thank you for sharing these beautiful photos and for giving me the great idea to do the same. That’s IT… hanging meaningful photos on the new, still-bare walls in our new house is on my resolutions list!! Simply beautiful. You’ve inspired me to take more pictures of my children. You can never have too many. Crazy love for that Maddie. Every bit of her. The eyelash – wow. Beautiful. This is amazing. I just came across your blog and am truly inspired by your journey and so happy you were able to share some of your life with such an amazing baby girl! Madeline’s beautiful soul is so apparent in these pictures and the way you loved her. I wish you the best of luck and thank you for taking us strangers on your journey. Oh such a lovely lovely collection! I remember you mentioning this before, and was wondering if you had ever done it. That eyelash pic has always been one of my absolute favorites. You did a beautiful job, mommy.